If you aren’t aware of the brand HEADLINER, or top star, as Kyosho likes to define it, you will know now. 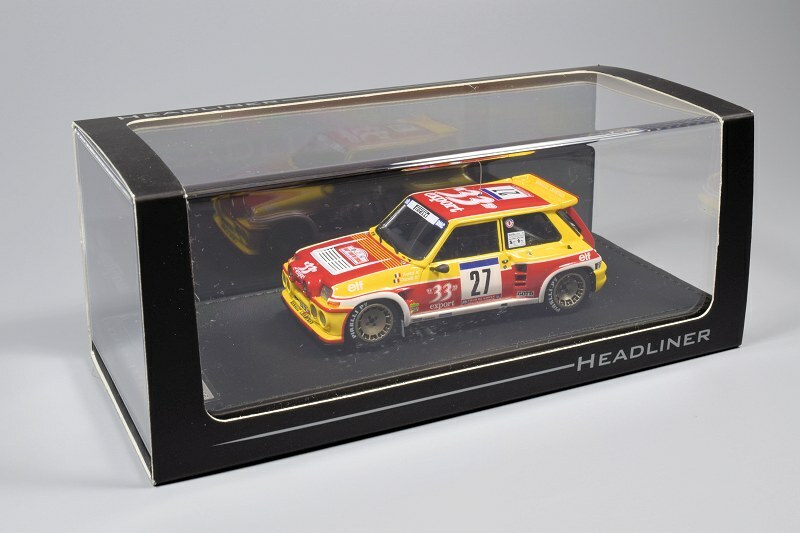 HEADLINER is a collaboration between Kyosho Corporation and TK Company Ltd., aka Ignition Model. HEADLINER’s primary focus is racing, rally and road cars of Europe. 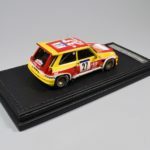 These are handmade resin models with a high level of detail and craftsmanship. 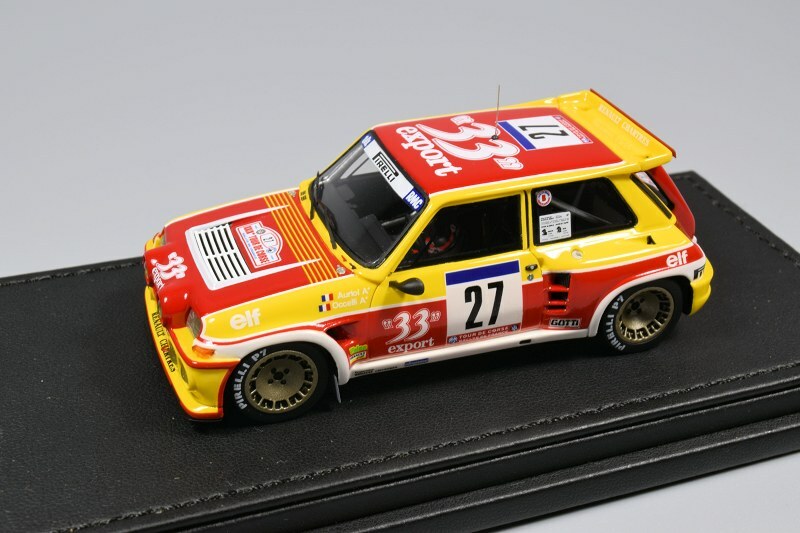 Initial offerings have been 1:43 scale, though the Lancia Stratos HF (#1) 1977 Monte Carlo in 1:18 scale will be hitting stores soon. 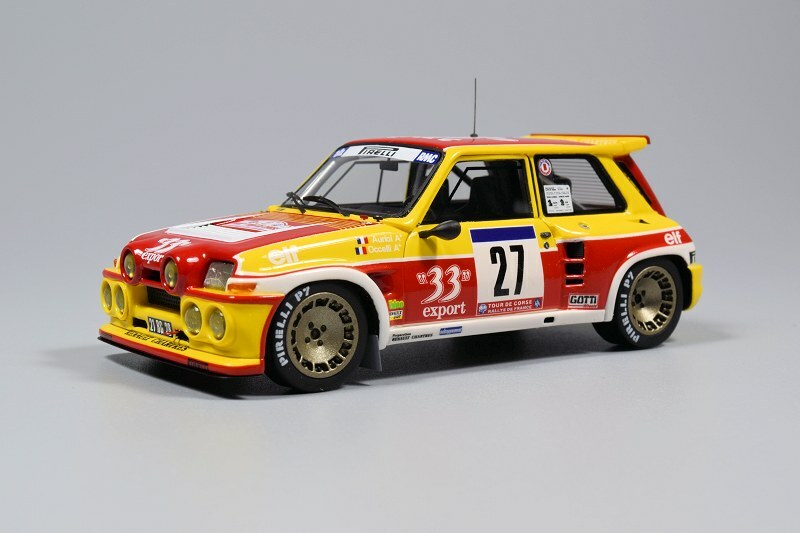 Our first review of a HEADLINER model will feature the 1:43 the Renault 5 MAXI Turbo (#27) 1985 Tour de Corse. 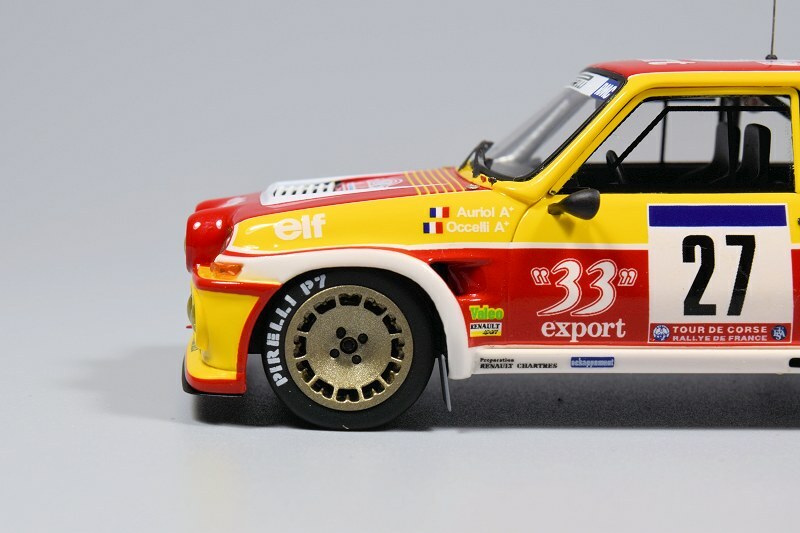 We’ll soon review a second piece, the Alpine Renault A110 1800 (#7) 1973 Tour de Corse. Let me preface this review as follows. The HEADLINER series of cars are made to the same standards and thresholds of your typical Ignition Model replica, there are no differences. 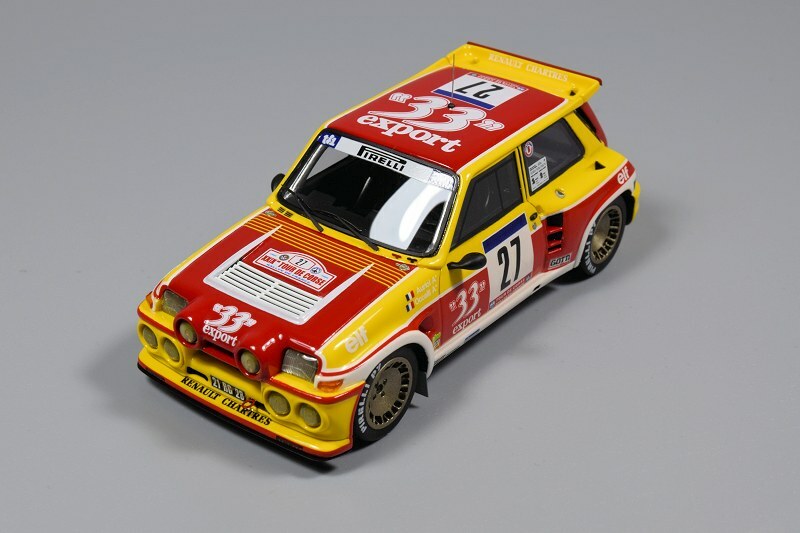 That being said, if you know Ignition Model, they are considered one of the best in the business in 1:43 scale production cars. 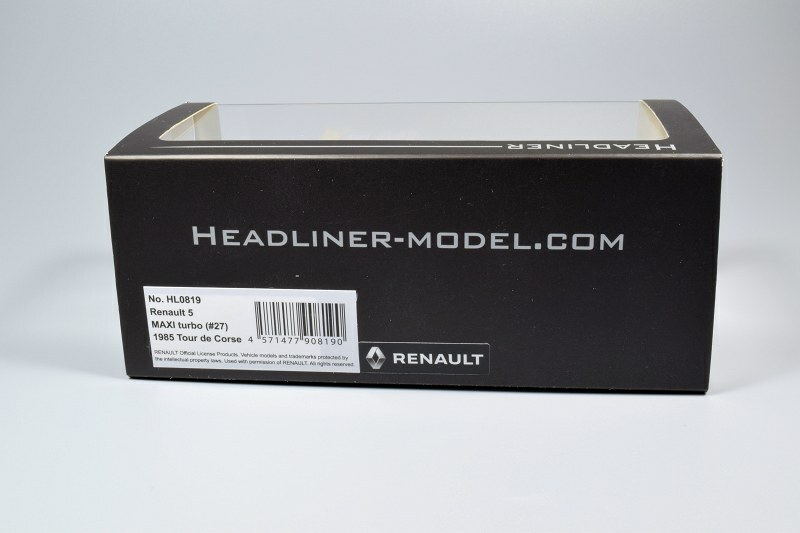 Since this is our first review of a HEADLINER model I will start off with the packaging. 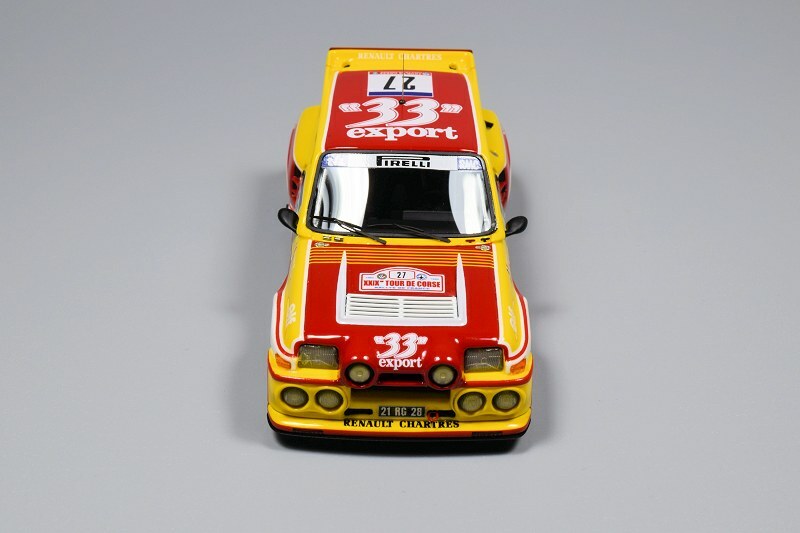 Each 1:43 piece ships with a complete independent display, typical of what most 1:43 manufactures use today. Where the differences are seen is in the quality of materials. The base is wrapped in leather and is labelled with a metal plaque – featuring the name of the subject. The plastic display cover is much thicker than the typical display too. And finally the package is wrapped in a paper housing which features HEADLINER logos and informational literature on the rear. The entire combination is quality and it shows. 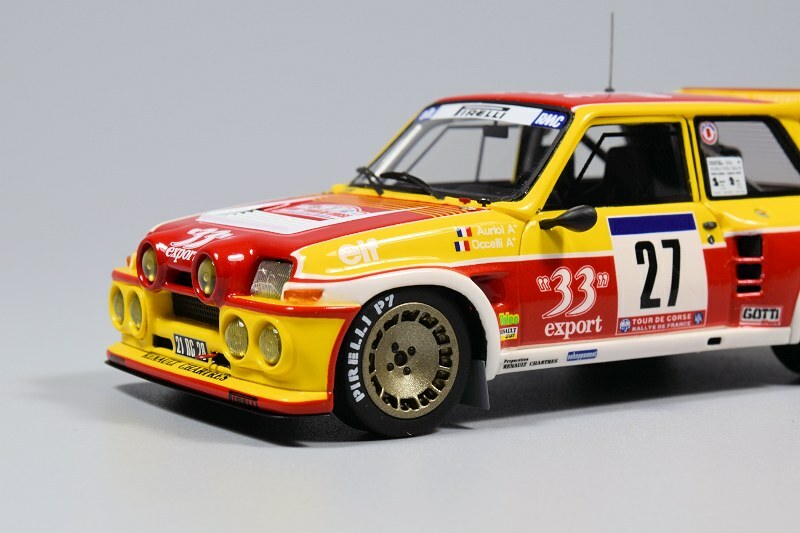 At first glance the exterior of Renault 5 MAXI Turbo overwhelms the senses; they pack so much detail into such a small package. Body lines are true to the original car. Paint work and decal application is near perfect, I can’t find a blemish anywhere! Even the aerial antenna is crafted to scale, so small in fact it looks like it can pierce the skin. 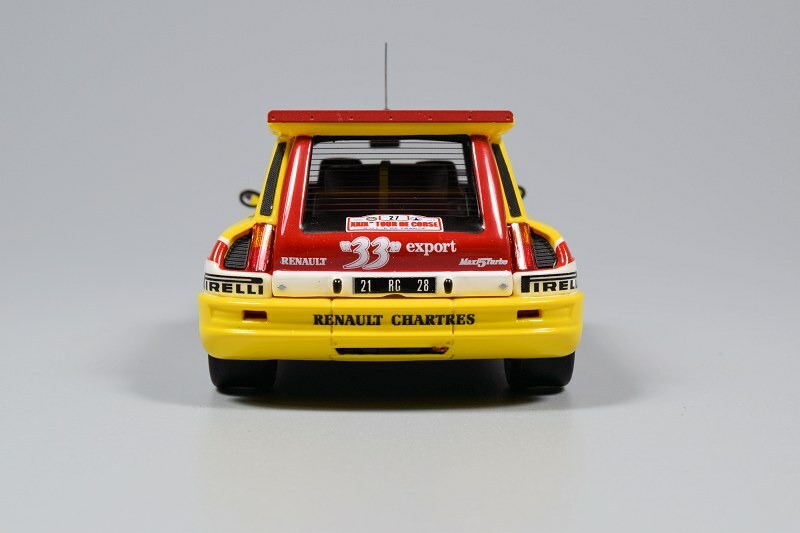 The fascia of the Renault 5 MAXI Turbo is crafted with care. The eight lighting sources are the first to grab your attention and rightly so. Quality materials are used and the centre light lenses have a predominant yellowish hue. 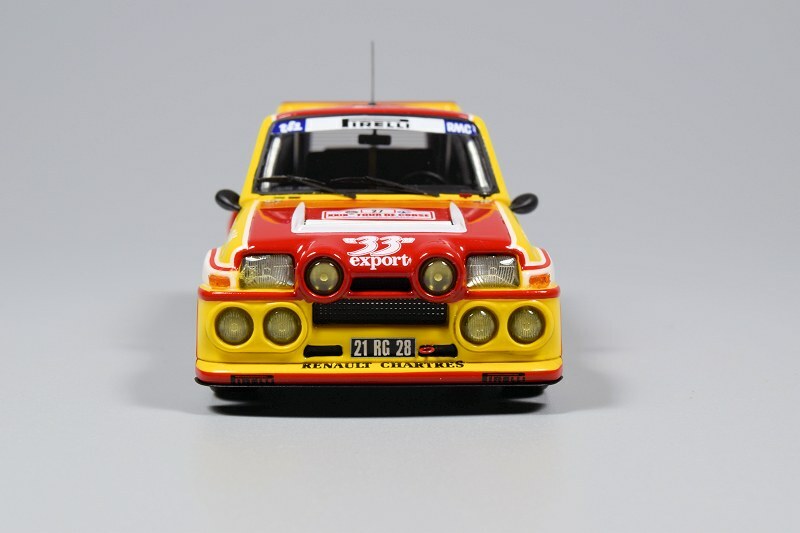 The mid-centre grille is not perforated, but based on size and scale this delicate piece most likely could not have been crafted to Kyosho standards. Even the windshield wipers are executed to perfect scale. The rear features opening slots for engine cooling (see image below). Black inlets and other cooling elements are solid bits of material. 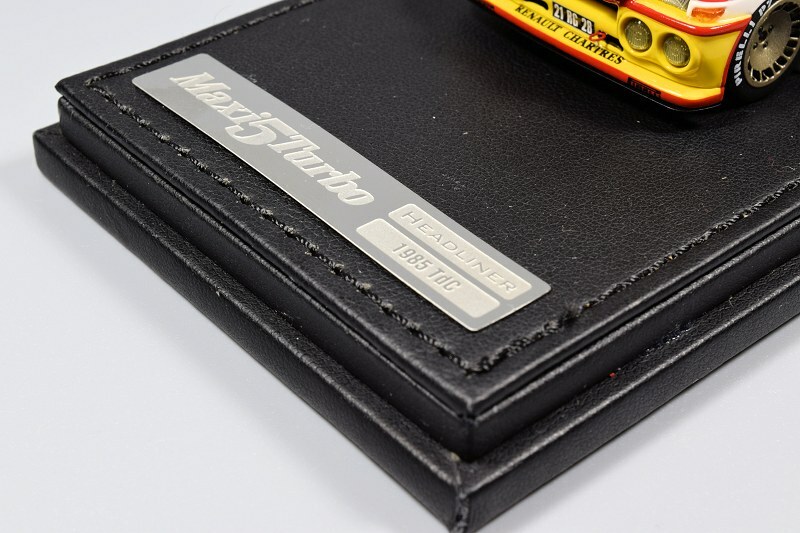 The decal work on even the smallest level is truly remarkable and executed perfectly. Note these are water based decals throughout the model. Unfortunately this replica is sealed, so access to the rear is not permissible. Not much if anything is shown of the heart of the beast, as the motor cover/housing is obstructing the view. There is full featured spare on top with accompanying details, all of which are nicely crafted. The wheels are painted in gold with each tire finding script around the perimeter. The “turbo” style wheels are a favourite amongst car tuners today and are executed with class. You can see the defining different offset from front to rear. Based on the style of wheel no braking components are visible that I can see. 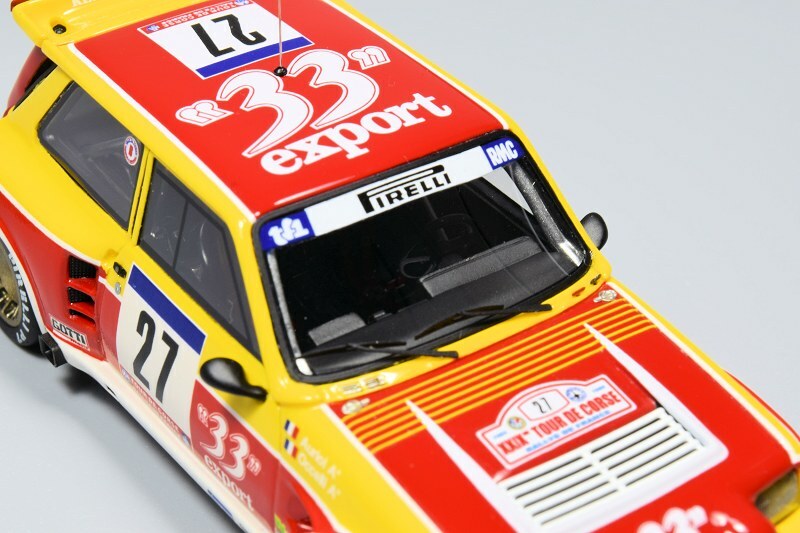 The interior of the Renault 5 MAXI Turbo is beautifully addressed. All elements are there are crafted with care. Dual fire extinguishers, racing harness, roll-cage and seats, as well as the integral dash detail are here. Though on the flip side based on the models price point we wish the side windows had better execution of the sliding windows, and the harness was executed with fabric. 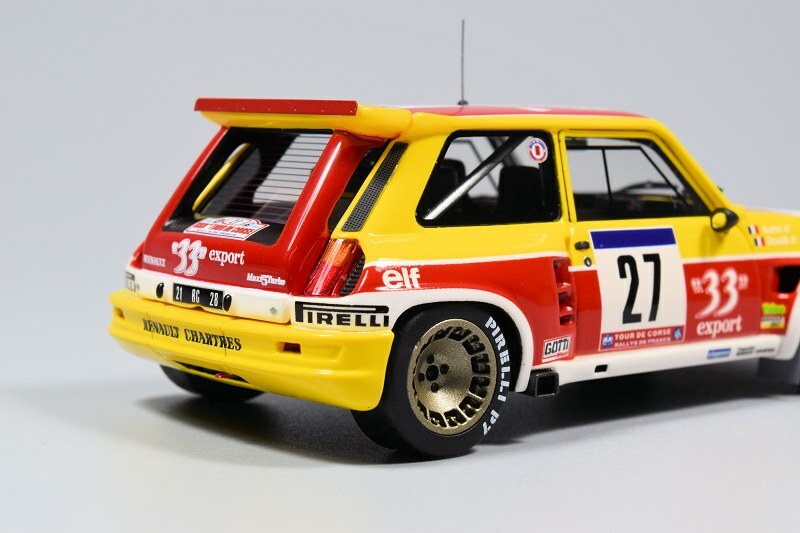 All in all the Renault 5 MAXI Turbo (#27) 1985 Tour de Corse is a force to be reckoned with. The overall detail and craftsmanship is top notch, and well it better be! With a retail price around the $200 mark one would expect nothing less. 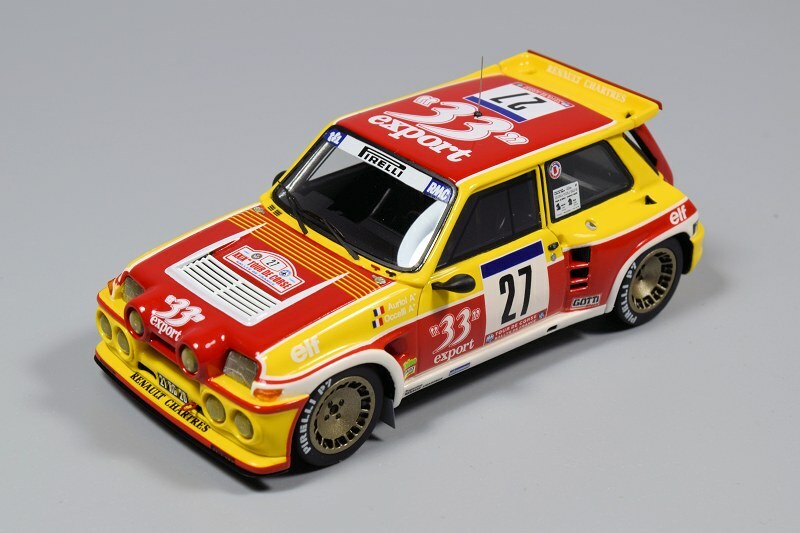 Kyosho’s first foray into this high-end 1:43 market has started off well. Aligning their expertise with the Ignition Model is another great move. Looking forward to reviewing more from this brand. Welcome to top star, you know them as HEADLINER. Enjoy the pics! 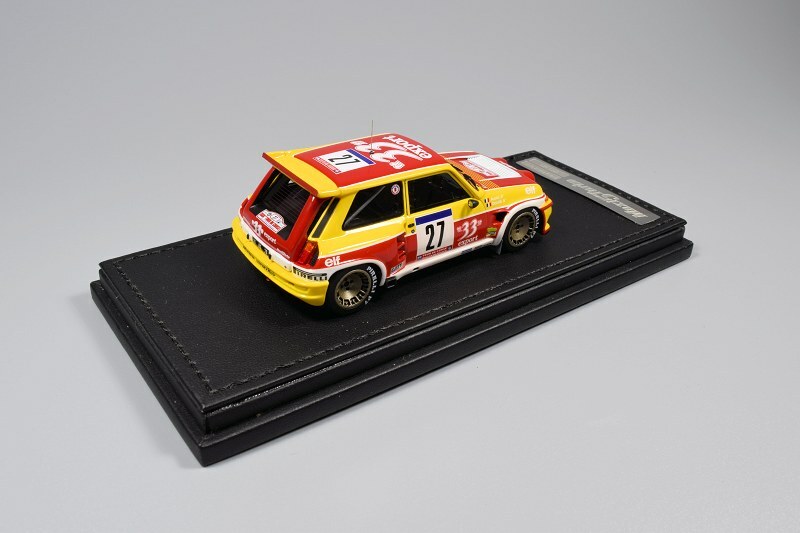 6 Responses to "REVIEW: HEADLINER Renault 5 MAXI Turbo (#27) 1985"
While I might be harsh, but this is just my opinion: I still can’t take resin models seriously, even Fronti-Art pieces. 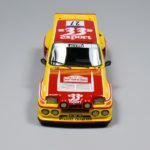 Of course, I’m not saying this is a bad review, I’m just saying the obvious flaws resin pieces have: Lack of shutlines, and you can’t see the engine of your model, which is like the real car, the heart of it. Furthermore, no real car bodies are made of plastic, except for race car bodies which are made out of fiberglass/plexiglass for weight-reducing purpose. 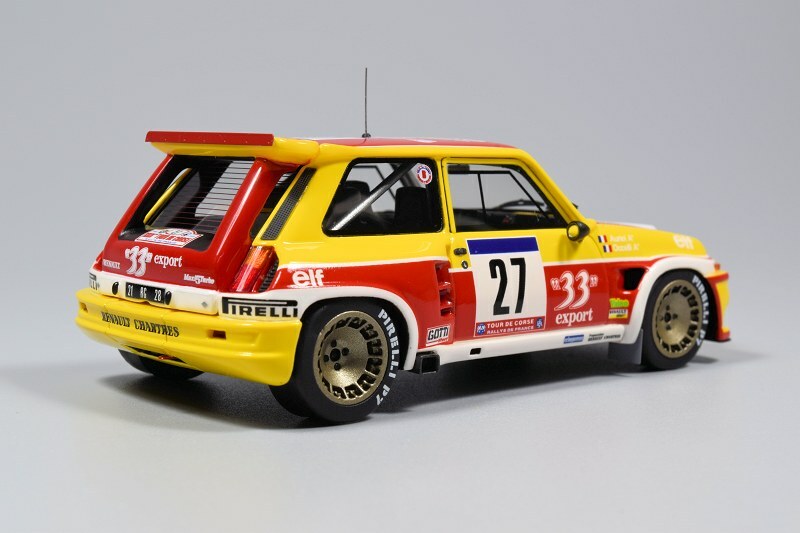 While this is certainly a nice model, especially at that scale, and personally, I have a huge obsession with rally cars, both racing and homologation street cars, but why don’t they make these pieces in die-cast? 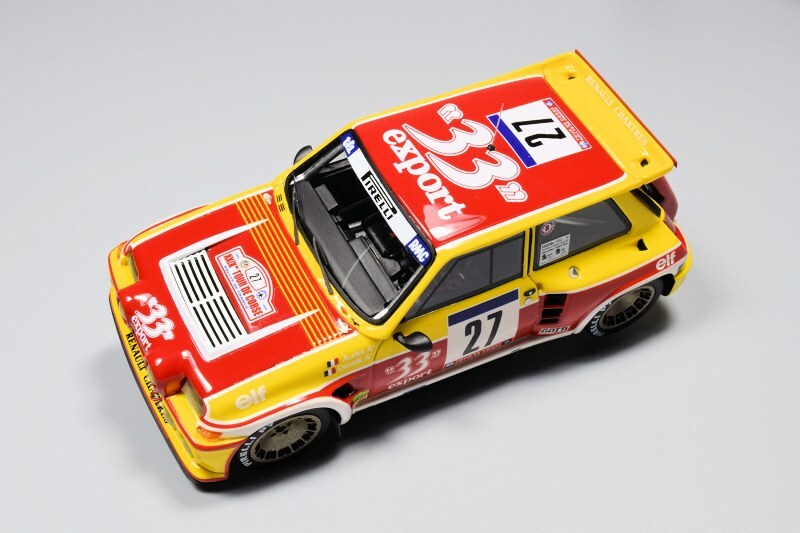 What’s wrong with every manufacturer lately, maybe save for CMC, Exoto, or even Schuco (as we all know, while they do have the SchucoR resin line, they only supplement the traditional die-cast lines)? I can’t understand the purpose of resin, save for race cars, but then again, the lack of shutlines and inaccessible engines are still there. 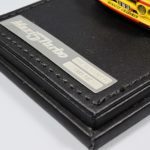 You make some valid points, but the shutlines are defined here for sure, better results than you would get with diecast. God, I never thought I would defend resin! LOL what is the world coming to!!! Actually, I can understand the purpose of resin models. But I just see too many resin brands nowadays, both newly-formed and resin-oriented right from the start, or had switch from die-cast to resin like the case of BBR, and also there are many brands that offer both recently-established resin and traditional die-cast product lines. I don’t want resin to replace die-cast, I just want them to supplement die-cast, and if that’s true, I’m completely fine. Furthermore, there are some perks resin pieces have over die-cast, I know, but it just doesn’t make sense to me. 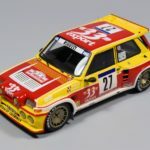 And I just hope that “Diecastsociety.com” will stay true to their namesake and really be something we can all proud of, not changing to “Resinsociety.com” in the near future. And you’re right, what is the world coming to, because you must be so impressed with the piece to the point of defending it. I just hope for the best thing to happen now. Yes, that is harsh! Resin models don’t lack shutlines – in fact they’re usually well-defined in terms of their shape; the problem is that they’re usually body-coloured. Not such a problem with darker colours, but on a white car it can sometimes look a bit off. 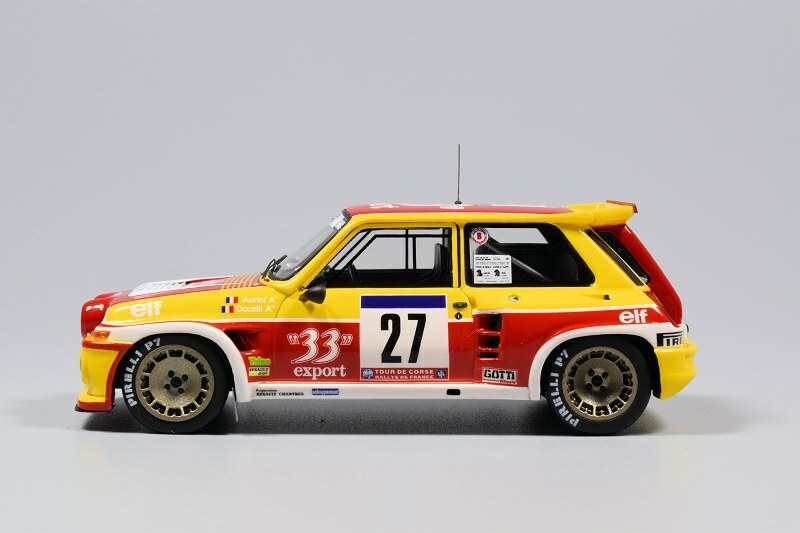 But in 1/43 (like this model), the overwhelming majority of diecast are sealed too, so have exactly the problem you describe here – and diecast 1/43 usually have far worse shutlines than resin due to the limitations of metal castings. Even on an opening diecast, the shutlines between non-opening panels will still be moulded-in. 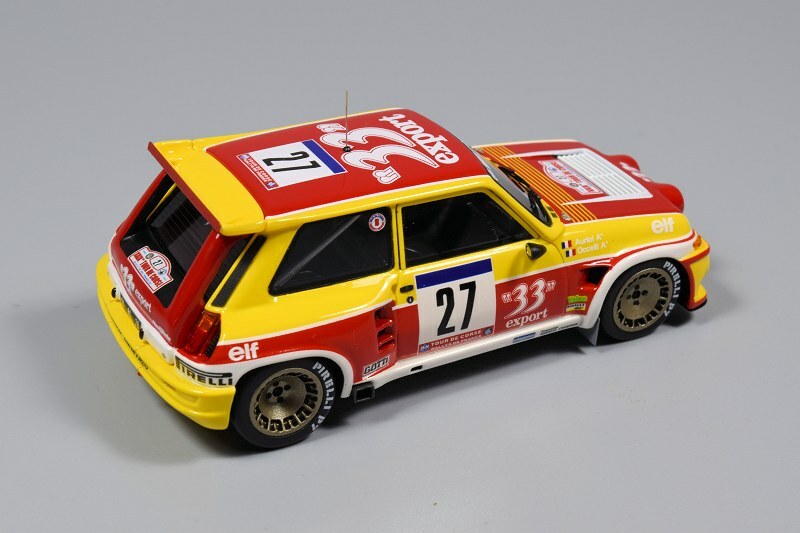 There are double-standards in your criticism – why is it OK for a diecast model to have no proper shutline between the rear bumper and rear three-quarter panel, but not for a resin to have no proper shutline around the door? 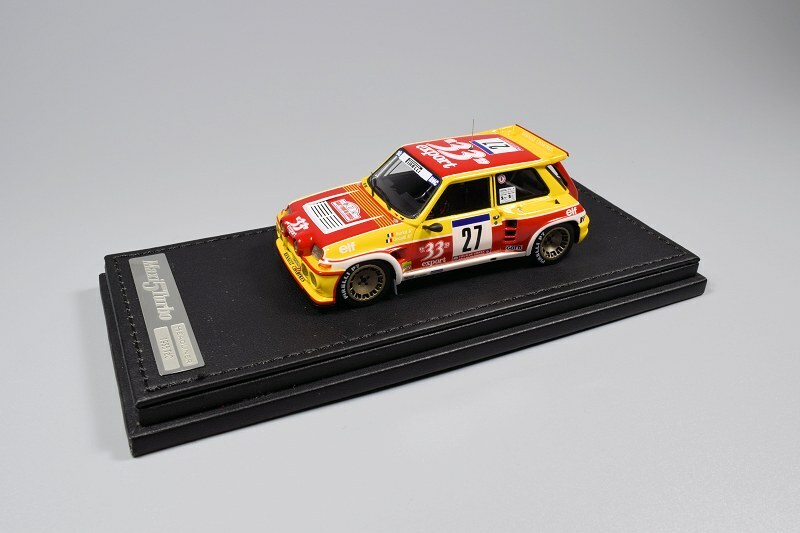 As for the comments on the material, it’s a bit crude to say they don’t make car bodies from resin – diecast models aren’t made from sheet steel/aluminium/carbon fibre, so diecast metal is no more realistic for models than resin. 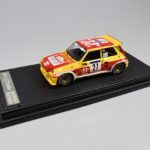 FWIW there have been lots of 1:1 cars made from plastic, in one form or another. The simple fact is that the world has moved on. Plastic and resin are capable of capturing far greater detail than diecast. 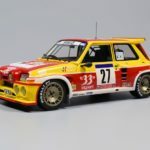 Most of the diecast love/resin hate is no more than an emotional response because it’s what you grew up with, and what models have always been made from. 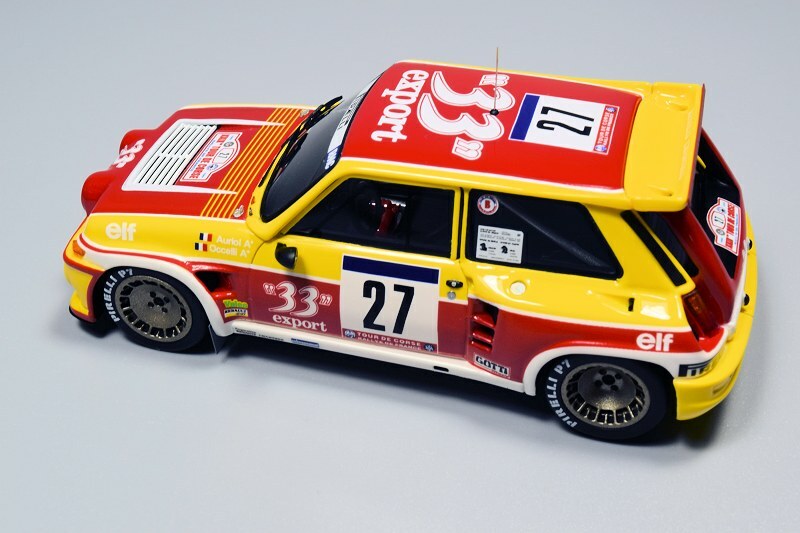 Aside from “it’s sealed”, there is no good reason to write off resin – and even then, unless they have a collection of of (very expensive) CMC and Exoto models, I suspect most collectors don’t open their models more than a handful of times. Well, that’s YOUR opinion, sir. And while I do admit the ever increasing use of plastic in modern cars in basically every place, have you seen a “normal” car with a plastic body? And if possible, tell me some examples of plastic cars? Remember, resin is one of the many byproducts of crude oil. Of course, real cars doesn’t use die-cast zinc for their bodies either, but zinc is still metal, and that’s undeniable. For the shutlines problem, since the mold-ing for die-cast is much more difficult (definitely, plastic is easier to shape than metal), I would expect much more from a plastic product. 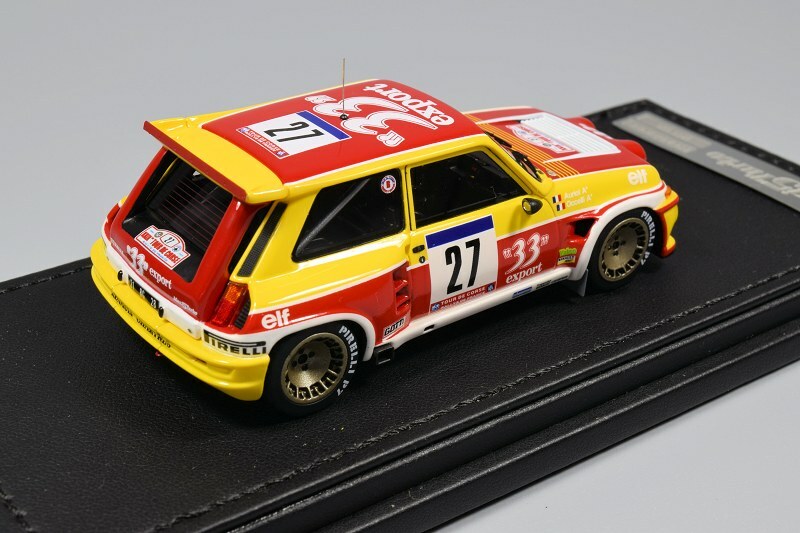 And yeah, once again, as you mentioned, the majority of 1:43 die-cast pieces are sealed, but didn’t I say that this IS a nice model AND objectively mentioned that resin pieces also have some perks over die-cast pieces? And you said that you “suspect most collectors don’t open their models more than a handful of times”, well, I’m not one of them. I’d like to see my models from the inside out, from the engines to the seatbelt buckles, admiring the tiny stickers in the engine bays to the tiny interior details, and even the underside of the car. And I also usually open or close the door for different poses. 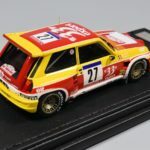 All of these are impossible for resin pieces except for massively expensive Fronti-Art pieces, but beside their ridiculous prices, their only subject is supercars and I don’t have much interest in most of them, save for a few cars that I deemed remarkable, but unfortunately, Fronti-Art doesn’t make those. And even after the Fronti-Art level is reached, you simply can’t operate those movable pieces for a many times because resin – unlike die-cast – is brittle, so it can’t withstand that kind of “abuse”. If I wanted a plastic model, I would simply buy a kit and build it myself, because the joy is the building process. For a resin piece, you purchase it and that’s basically it. There’s nothing else you can do, save for the operable Fronti-Art pieces. Furthermore, I haven’t mentioned long-term values since resin pieces are much more likely to deform over time than die-cast. You simply can’t deny that factor, because as a plastic kit modeller for nearly 10 years, I know that very well. I’m NOT saying they WILL lose value, I just mention the possibility which is very likely to happen, because kits are made of PS (polystyrene) or ABS (acrylonitrile butadiene styrene) which are similar to resin. While die-cast cars may suffer zinc-pest if generally left unattended for a long time in a moist and hot environment, that’s not always the case. Yes, there are die-cast pieces than will suffer zinc-pests or other paint problem within a small time from purchase or even suffer defect from the factory, but that depends. 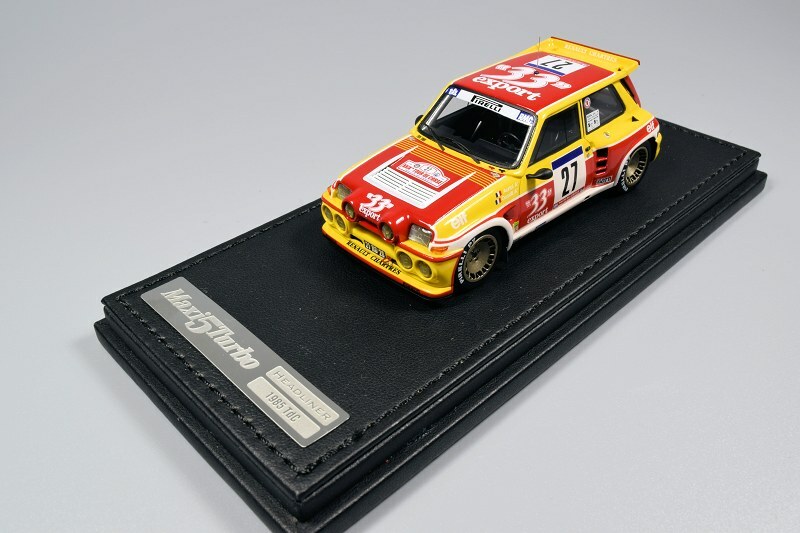 My father have a Kyosho Mercedes-Benz C 230 from around 14-16 years ago, and it hasn’t even a tiniest pest. 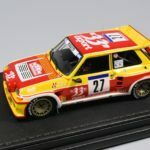 For the “nostalgia-or-move-on-with-the-world” part, I’m a young collector, specifically 19 years old, but I’ve collected for over a year now, and combine with some old pieces from my father, my model count is just around 20 cars now, and I have seen many resin pieces – MR, BBR, Fronti-Art, GTSpirit,… WITH MY OWN EYES. yes, the presentation and finish is superb and excellent, no doubt, but I have my own reasons for generally disliking them, and I think I mentioned them here. Also, when did I mention writing off resin? I just don’t want them to completely replace die-cast, that’s it. Resin is actually a good supplement for die-cast, to fill a niche demographic, which once again, I said that in the previous comment. While MY opinion may not fit YOUR bill, I’m sure many more will agree with me. Have a nice day!